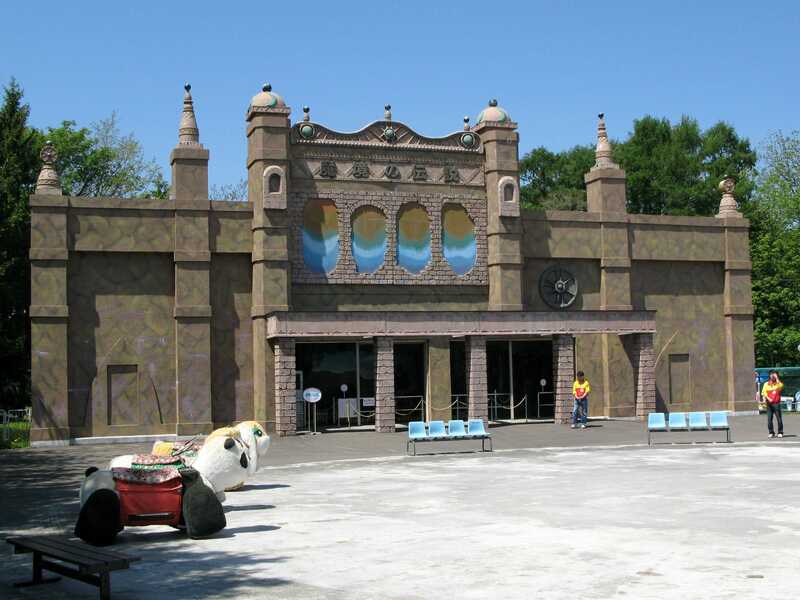 Maruyama KidLand is a small area of amusement rides attached to Maruyama Zoo. With no time pressure today we took the opportunity to look around the zoo area, the first time I'd done something like that in about two decades. The area was punctuated by horrendously strong odours, pungent enough to greatly limit my enjoyment; I sincerely hope this was an oddity of the day, and not a general issue for the zoo. Fortunately the ride area marked, quite literally, a breath of fresh air. The park has just one coaster, and it isn't the Dragon Coaster, though we did ride that anyway. The real attraction is Loop & Cork (#963), a rather violent Togo design that sends single car trains through two inversions before entering a more traditional mouse style layout. Much to our amazement (and horror), the trim brakes were completely off, making the last section of the ride extremely violent. It might have been fun if the cars had padding, but since they didn't, well, it wasn't. Coasters are not supposed to take unbanked mouse curves at over twenty miles an hour. The real gem of the morning was a dark ride, following along the general theme of Indiana Jones, exploring caves and tombs, et al. Some of the scenes were very high quality, although there were one or two that looked like a fairground on a bad day. George described the whole affair in two words that capture the essence of Japan; Tomb Laider. After a whole week in Japan both of us have taken to swapping the 'r' and 'l' consonants, as so many people out this direction do, and the humour has begun to wear off. Even still, for some reason this particular description was just side-splittingly funny. It's worth pausing briefly to comment on the range of food available in Japan. Western fast food chains are represented in abundance, particularly KFC, with almost three hundred outlets in the Tokyo area alone. 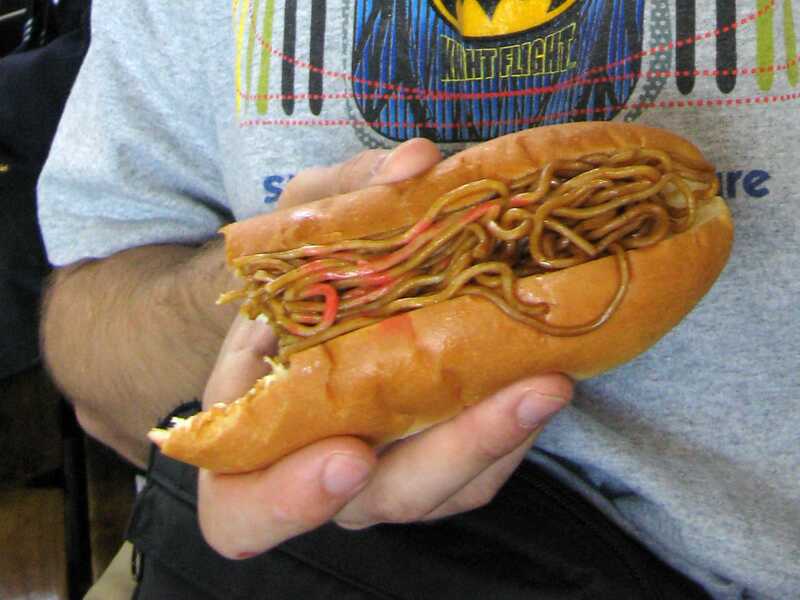 The local cuisine is much more interesting and rewarding for those prepared to give it a try, though occasionally you find a complete oddity. The shop at Sapporo railway station gave rise to a bread roll stuffed with noodles, which tasted pretty darn good too. This park had a bit of an identity crisis at the time of my visit; depending on which piece of merchandise you looked at it was known as Iwamizawa Greenland or Greenland. As of 2009, the park has renamed itself to Hokkaido Greenland. 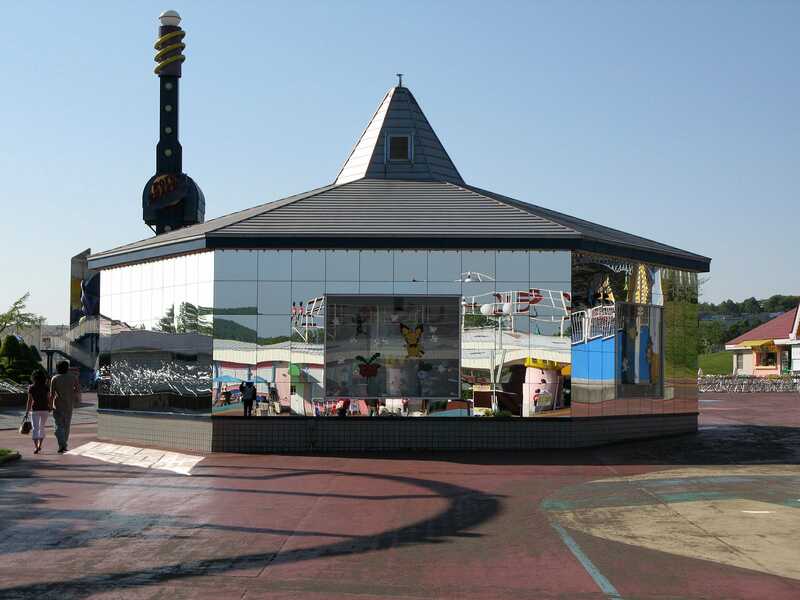 Our original plan for today was to head to a smaller single coaster park near Sapporo. However, when we discovered how far ahead of schedule we were, we elected to bring forward the park that we assumed would require more time. As it turned out, we'd end up skipping the smaller park outright, but that's for tomorrow's trip report. The train journey took us past the Eniwa stop, which when pronounced in a Japanese accent might easily be anywhere. This theory was only dismantled when we determined that the line did not in fact have Somewa and Nowa stops too. As usual it seemed like he coasters with the most leg room were the ones designed for children. Wani Wani Coaster (#964) is a rare example of a kiddie coaster with airtime despite its minimum height differential which could not have been more than six feet. Coaster counters should note that our experience of parks in Japan is that there are no silly rules for rides; if you fit within the restraints, you can ride if you want to, no matter how small the ride may be. The other kiddie coaster, Torokko Coaster (#967) eschewed the usual chain lift for a conveyor belt. Has anyone ever seen this on another coaster? As for the adult rides, San Kaiten (#965) might have been fun were it not for it running the horrible Senyo trains that feature a big lump that sticks into the shoulder blades of anyone over a certain height. Westerners contemplating riding this coaster will likely enjoy it more if they wear a thick coat for some extra padding. Leaning forward on the lift hill is also a good idea. Big Boom Coaster (#966) seems to go on for ever, with the rider desperately trying to resist asking are we there yet? The trains were very noisy but tracked pretty smoothly, other than some occasional vibration. With lots of time to spare, we tried out a good selection of other rides in the park; a completely enclosed ferris wheel, with nowhere to poke a camera lens through; a haunted walkthrough and similar dark ride (nothing special), the log flume, and the mirror maze. The last was an unexpected gem; it was built into a hexagonal shaped building, and featured two different paths which appeared to lead to the exit, but in fact did not. The glass windows were spotlessly clean, so much so that one small section was closed off where a pane was broken; it looked like someone may have attempted to walk through it!